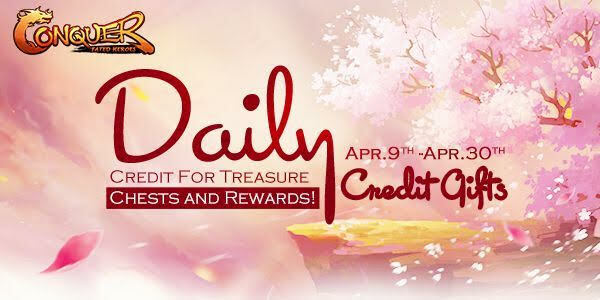 During the event, all heroes can credit to gain valuable treasure chests! Just open the chests to win gorgeous gifts including CPs, Star Stones, DB Scrolls, Rune Crystals, etc. After the event comes to close, the top 20 heroes can even obtain awesome Moon/Dragon Fruits and Chi Points as extra rewards! – Conquer Online Daily Credit Gifts.